How do South Dakota laws treat probate litigation matters? As with all other legal practice areas, probate litigation regulations differ vastly from state to state. South Dakota laws affect a number of probate litigation areas and require detailed understanding in order to ensure you are acting in accordance with local laws, as well as ensuring that the will itself was written in accordance with local law. The remainder of this article will cover how South Dakota probate litigation are specifically designed and enforced. What are a spouse’s automatic rights in South Dakota probate? Also known as a Spousal Share, this area of probate litigation becomes more complex in community property states. South Dakota, however, is a non-community property state, or the common law system. According to this system, a spouse is essentially automatically entitled to their community property, which is generally (but not always, and also arguably) at least half of the property accumulated throughout the marriage. This is also with the exception of separate property, defined above. How are financial elder abuse claims handled in South Dakota courts? In South Dakota, the victim or representative of the victim must prove that the defendant took, hid, appropriated, or retained the victim’s property, and/or assisted in taking, hiding, appropriating, retaining the victim’s property, for a wrongful use with the intent to defraud, and that the victim was harmed because of these actions. Does South Dakota have a statute of limitations on filing challenges to an estate? Because estate issues represent such a complex area of the law, with an endless list of various “but”, “what if”, and other semantic scenarios poised to reinterpret an executor’s intent, the statute of limitations on filing challenges to an estate is subject to differences both slight and significant across each state. South Dakota’s statute of limitations regarding probate litigation generally range between three to twenty years following the date of the testator’s death, depending on the aspect of the will you’re contesting; for instance, if your issue is with the conduct of an adjudicator which may have corrupted a will’s intent, you will have three years to contest. 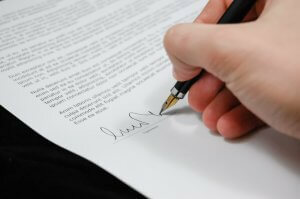 For disputes with a written will contract, you will have four, six, or twenty years, depending on the severity of the implications in your claim. A number of states, including South Dakota, do not have separate court specifically constructed to hear probate matters. In such instances, local courthouses will be able to accommodate the proceedings. For especially high profile, or extremely complex cases, your probate litigation claim may, however, require the adjudication of South Dakota Superior Court.